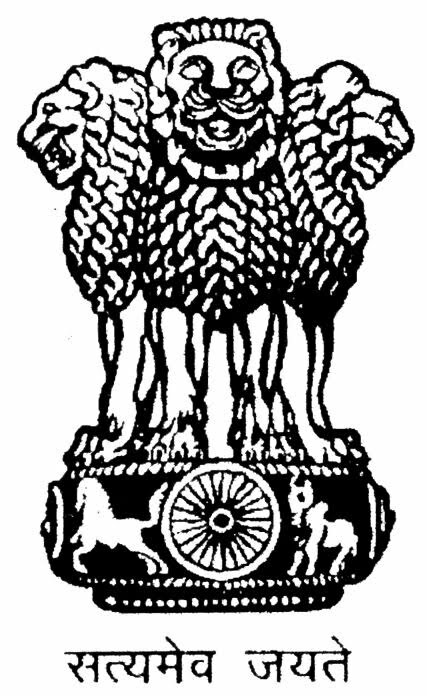 The National Emblem of India is a replica of the Lion Capital of Sarnath located near Varanasi in the state of Uttar Pradesh. The column with the Lion Capital ontop of it was erected in the third century B.C. by Emperor Ashoka to mark the spot where Buddha proclaimed his gospel of peace and emanicipation for the first time. The national emblem is thus symbolic of Modern India’s reaffirmation of its ancient commitment to world peace and goodwill. The four lions stand for power, courage and confidence. The abacus of the capital is girded by four smaller animals which are guardians of the four directions of the world - the lion of the North, the elephant of the East, the horse of the South and the bull of the West. The wheel (chakra) between them symbolizes eternal movement. 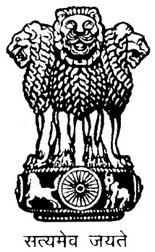 The motto ‘Satyameva Jayate’ inscribed below the emblem in Devanagari script means ‘Truth alone triumphs’.